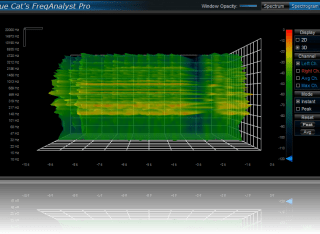 "A powerful spectral analysis tool and automation generator with 3D viewer." 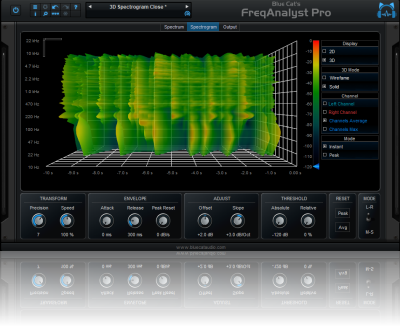 Like many of our other professional analysis tools, this plug-in also provides output parameters that you can use to control other effects in real time: the generated automation envelopes or MIDI CC messages include the minimum and maximum frequencies and the energy center of the spectrum, expressed in Hertz or as MIDI note value. With the transformation parameters (offset, amount and reverse), you can customize the generation of these parameters and monitor the modifications on the value graphs. Check the DP Meter Pro Tutorials to see how to use this capability within your favorite host. 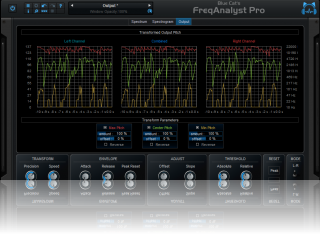 For integrated multiple tracks spectrum analysis, check our Blue Cat's FreqAnalyst Multi plug-in. [About 3D View] This looks like a really useful upgrade. 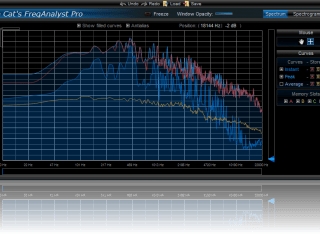 Great for analyzing kick vs bass levels.[...] It's pretty awesome, as expected. [...] Was nice being able to zoom in and change the angle. 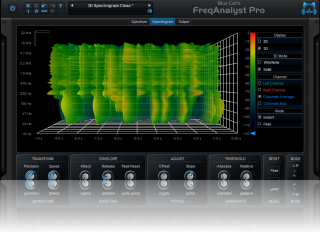 Seeing drum hits in 3D really helps build a mental map of what lies in each bit of the frequency spectrum. An OpenGL-compatible graphics card for the 3D View. The plug-in is frozen for 4 seconds every 40 seconds. 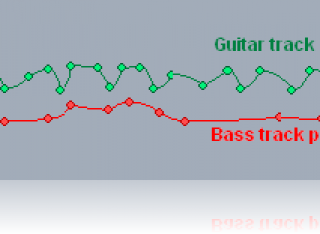 Improved MIDI and automation output precision: now prevents hosts from wrongly interpolating between values. 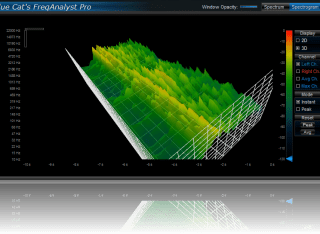 New 3D waterfall view to monitor the evolution of the spectrum over time. Output automation is now disabled by default. 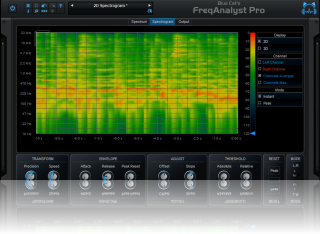 New "zoom by selection" feature: analysis is now even smoother! Offset range has been increased to 80 dB (instead of 40dB). Blue Cat's Skinning Language 1.3.1 support.